It wasn’t enough to dominate the clothing rental market for adults. Until now, Rent the Runway has been satisfied to offer fancy clothes to the masses, for either a monthly or one-off rental fee. But now they’re offering those same dresses and skirts to the smaller masses, also known as children. Starting next week, you’ll be able to rent yourself and your daughter a dress, which means the high-risk stakes of buying a frock for a child are over: Yes, she will probably spill juice on it, and no, you won’t be responsible for the dry cleaning. Instead of purchasing pricey duds outright from Stella McCartney, Fendi, Chloé, Marc Jacobs, and other high-end brands, you can opt in with a membership plan, or just rent a special look for an event. Memberships cost $89 per month for four items a month, or $159 per month for four items at a time, to be swapped as many times as you like. With the launch of girls’ items—a choice of 60 pieces in all, in sizes for girls ages 3 to 10—you’ll be able to rent more than four items per month (for a fee, of course). 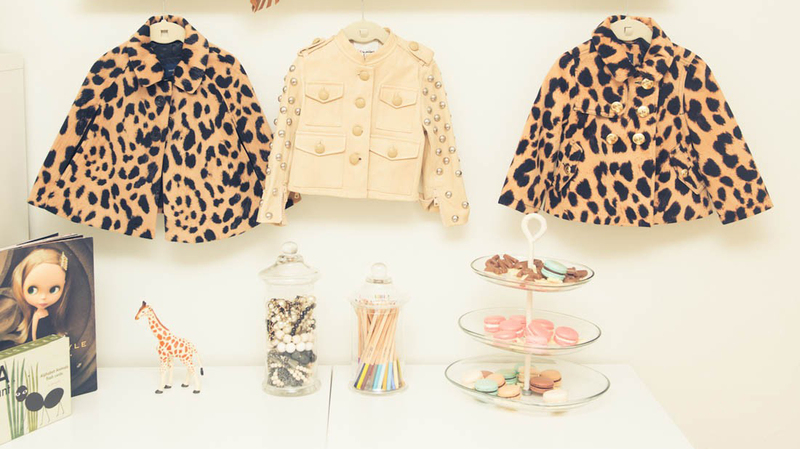 This way, mommy-and-me ensembles will be at your fingertips. “Being a mom has almost become like a brand,” RTR co-founder and CEO Jennifer Hyman told InStyle. “People are sharing photos of their kids all the time on social media, and I think it’s fun to have mommy-and-me looks some of the time.” Instead of shelling out upwards of $1,000 for a couple of dresses for you and your offspring, rent them. Little ones are not the only ones Rent the Runway is chasing after. They also announced a home goods partnership with West Elm last month, to be available soon. If you’re into that kind of thing, you can stop buying new linens, blankets, and throw pillows, and rent those, too. While I’m not crazy about the idea of renting a duvet cover that someone else has snuggled with for the past month, I can see how a statement pillow might be fun—though perhaps not so much fun as borrowing a dress. The idea is to expand children’s offerings from fancy party dresses and frilly skirts to everyday pieces. Also, since RTR is already cornering the market for women and girls, men and boys can’t be too far along down the road. In a world that includes four magical dresses coming and going for somewhere between $89 and $159 per month, including all the chocolate ice cream stains you can possibly imagine, it’s a good thing Rent the Runway has the market on dry cleaning, too: At their 160,000-foot warehouse, they are the nation’s single largest dry cleaner. That’s what I call having your designer cake, spilling it, and eating it, too.